The present Guild was formed 20 years ago. 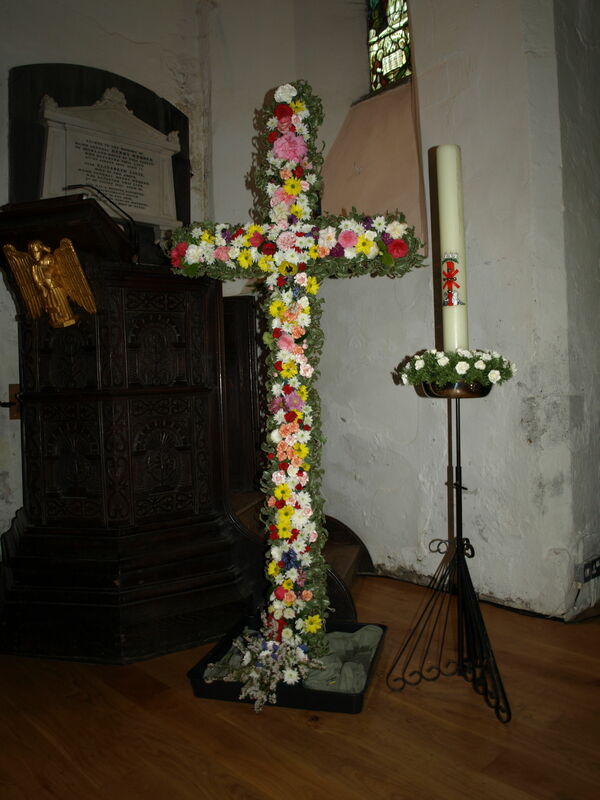 We are a group of people who arrange and look after the flowers in the church. We decorate the whole church for festivals and special occasions; we will provide flower for weddings and funerals if asked to do so. The Guild has a set of charges for pedestal, pew ends, etc. Flowers for the High Altar, and Madonna and can also be arranged for private anniversaries. A list is kept in the south porch for people to sign the dates they would like to reserve. They can arrange the flowers themselves, on a Friday morning after 10:30 am, or request the Guild to do it for them. We charge £15 the high altar, and £7.50 for the Madonna. We raise money by holding coffee mornings in the St. Brannock’s rooms. Baskets are placed in Church for Christmas and Easter Festivals, and we are always very grateful for donation. All the money we raise is spent on flowers etc for the Church.